Do you need to amp up the vegetable consumption in your life? 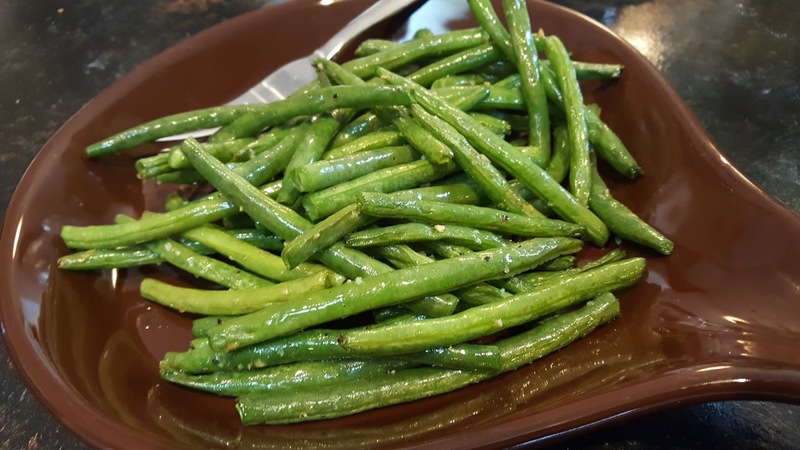 Or find a way to get your kids to eat more veggies. If yes, then this super easy, super delicious preparation of green beans is for you. And maybe you eat plenty of veggies, but need a new inspiration - then this is for you, too. 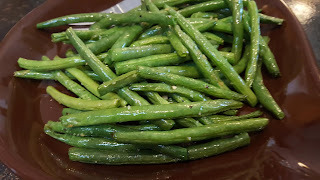 Green beans are one of my favorite veggies and the kids at my house happily eat them as well. But when I made these, well, they gobbled them up. They actually asked for more and I didn't have any left on the pan! I think that may have been the first time we RAN OUT of vegetables at dinner! 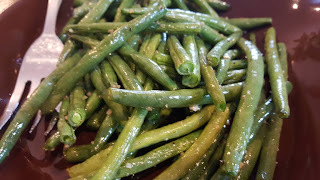 So, even though these aren't the most picturesque beans in the world, they are delicious, and they are super easy to prepare. I hope they'll make frequent appearances on your table this summer. 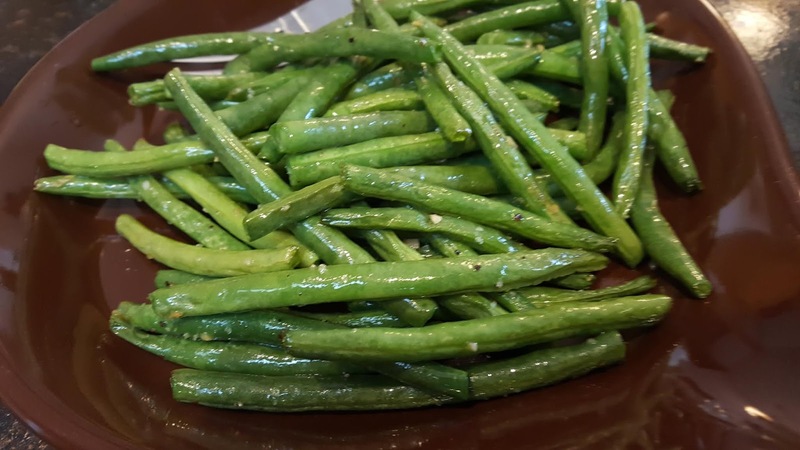 Place green beans in a large bowl. Drizzle olive oil over green beans and toss. Add garlic and stir well to coat all the beans. Season with salt and pepper to your taste. Pour beans onto a lightly greased baking sheet (or use a silpat liner). Bake at 350 for 17-20 minutes, tossing half way through the cooking process. Serves 4-6.